DIRECT FROM LOURDES - Remembrance of My Confirmation Book for a Girl. Remembrance of My Confirmation Book for a Girl. 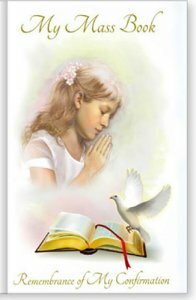 Remembrance of confirmation hardback prayer book for a girl, 128 pages.